Improve Your future with Information From JZ Knight Interview. J Z Knight was interviewed yesterday by Dr Carl O Helvie, Host, the Holistic Health Show. J Z Knight is the renowned channel and star of the acclaimed film What the Bleep Do We Know? 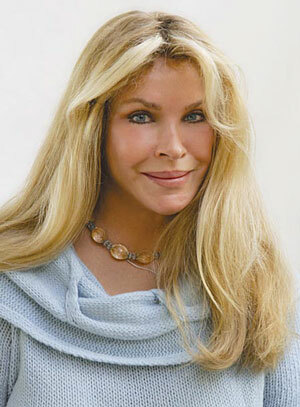 She is the channel for Ramtha and founder of the Ramtha School of Enlightenment. More information was presented earlier on this blog and can be found at: http://www.ramtha.com and http://www.JZKnight.com Listen to the interview below. My Guest on Saturday is JZ Knight who is the unique channel of Ramtha and author of the best-selling autobiography, A State of Mind, My Story. Historians and religious experts who have studied her life’s work call JZ Knight the Great American Channel and recognize her as one of the most charismatic and compelling spiritual leaders of the modern age. JZ Knight and Ramtha have captivated and inspired audiences worldwide for the last three decades, bridging ancient wisdom and the power of consciousness together with the latest discoveries in science. JZ Knight has appeared on national TV shows, such as Larry King and The Merv Griffin Show, offering spiritual insight and inspiration to thousands of people from all over the world and all walks of life, including many well-known figures from the entertainment world. JZ Knight is the president of JZK, Inc and Ramtha’s School of Enlightenment (www.ramtha.com), a unique academy located in the foothills of Mt. Rainier in Washington State. The school was established in the 1980s and hosts over 10,000 students from the United States and 60 foreign countries. JZ Knight is the “channel” through which Ramtha delivers his message. Ramtha is an ascended Master Teacher who learned in his lifetime the unlimited potential of our minds for creating reality and the extraordinary in our lives. Ramtha lived as a human being on Earth 35,000 years ago. In that lifetime he discovered the true nature of the human person, the power of the mind, and the malleable nature of physical reality. Through his study of the nature of reality he achieved the supreme convergence of spirit and matter and became an ascended master. His powerful message of hope for humanity has already changed countless lives — none more powerfully and dramatically than JZ’s own life. The School’s approach is unique and innovative, combining many threads of contemporary scientific research that support the principle that God lives within each of us. The physical body and the material world are only one aspect of the real world. They are the product of a broader reality constituted by consciousness and energy. The human being is best described as consciousness and energy creating the nature of reality. We are divine beings by nature. 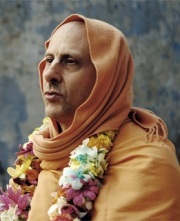 Thus, a spiritual life that incorporates the material world – rather than rejecting it – is accessible to everyone. Ramtha’s choice to channel the teachings through a woman, rather than use his own physical body also makes the statement that God and the divine are not the prerogative of men alone. Skeptics who deny the existence of Ramtha as a conscious entity capable of using another entity’s physical body are thus left with a brilliant woman who can teach on all manner of subjects for days on end without fatigue or notes. It demonstrates that women are worthy expressions of the divine, capable of genius and of being God realized. JZ Knight is also the President and owner of JZ ROSE (www.jz-rose.com), formerly The Outback Boutique, a treasure chest that offers vintage style gifts and collectibles, home furnishings, fine antiques and everything beautiful. JZ Knight’s personal love for fine art, timeless antiques, and the nostalgic romanticism of the Victorian style inspired her to create a store where she could share the things she loved with other people. Some of the main humanitarian charities JZ Knight has sponsored through the JZ Knight Humanities Foundation she created have been the empowerment of women, world peace, and education scholarships for children. Since 1988, JZ Knight has contributed more than $1,200,000 to 200 graduating High School seniors so they could pursue their educational goals. She has helped local church’s charities aiding communities in Africa. She has also participated as the address speaker in international women’s conferences affiliated with the United Nations and was one of the keynote speakers at the Prophet’s Conferences inspired by the movie, What the Bleep Do WE Know!? International Spiritual Leaders Interviewed on Holistic Health Show. Dr Carl O Helvie, Host, repeated interviews with two international spiritual leaders yesterday on the Holistic Health Show. They were Sadhguru Jaggi Vasudev from India and Caroline Cory from France.